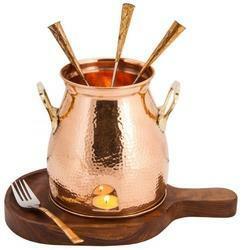 Offering you a complete choice of products which include cooking utensil pot, copper balti serving dish, copper deghra, copper deluxe thali set, copper finger under liner bowl and copper fry pan. Owing to the expertise of our team of experienced professionals, we are able to manufacture and supply an exclusive range of Cooking Utensil Pot. 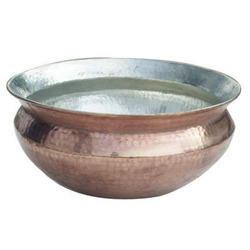 Owing to the expertise of our team of experienced professionals, we are able to manufacture and supply an exclusive range of Copper Balti Serving Dish. 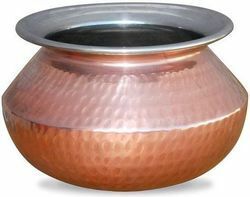 Copper Cooking Pots are the best for preparing Mughlai/Hyderabadi Biryani as the Copper Deghra besides having rich properties for food preparation have a broad bottom, tin plated inner surface, a narrow top which helps in retaining & locking the flavour of Biryani. These are made out of thick gauge and are handmade. Owing to the expertise of our team of experienced professionals, we are able to manufacture and supply an exclusive range of Copper Deluxe Thali Set. 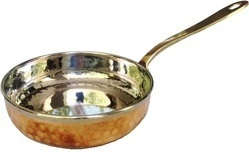 Size 7", 8", 10", 12", 14"
With the support of our team of professionals, we have been able to manufacture, export & wholesale & Copper Fry Pan. The offered range is manufactured under the direction of qualified professionals using high grade steel and modernize machinery in accordance with set industrial standards. This product is widely demanded in the market for their excellent design, high strength, corrosion-resistance and durability. Apart from, clients can avail the entire range from us in diverse modified options and at industry leading prices. 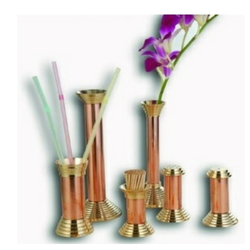 We have marked a distinct and dynamic position in the market by providing a high quality array of Copper Handi. Our competent professionals manufacture this oven by employing quality assured material and sophisticated technology in adherence to the set industry standards. Due to features like precise design, and easy to use, our offered oven has been able to earn a lot of popularity in the market. Moreover, our valuable clients can avail this oven from us at market leading prices. 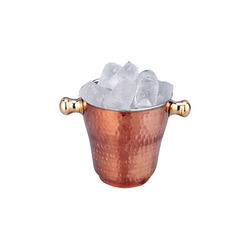 We are one of the prominent suppliers and exporters of premium-quality Ice Bucket. 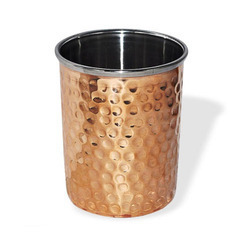 They are manufactured using premium-quality Copper and are used for storing ice cubes during parties, get together and other similar occasions. Ice Buckets prevent the ice from melting soon and enable storage of ice for longer time periods. The ice buckets supplied by us are sturdy, damage-resistant and durable. Their surface has a flawless finish, too. We supply them to clients at affordable prices within the specified time-period. Our company has been successful in winning appreciation from the clients as one of the most prominent names in the trading of Copper Lagan. 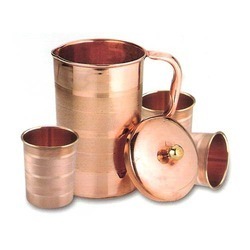 Owing to the expertise of our team of experienced professionals, we are able to manufacture and supply an exclusive range of Copper Lemon Set. 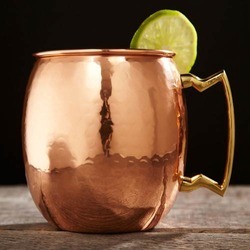 We manufacture Copper Moscow Mule Mugs. 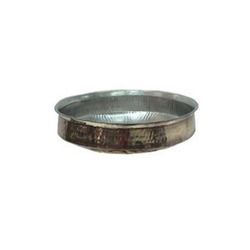 It has shiny outer finish with hammered look and brass handle. Packaging Details: As par as customer requirements. Packed in Brawn Carton Box. 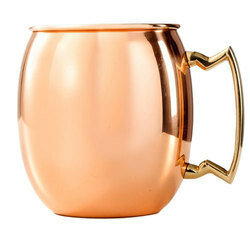 Backed with rich experience and knowledge in this sector, we are considered to be one of the most professional manufacturers and exporters of Copper Mug. 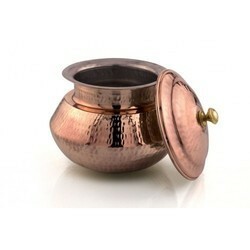 Backed by sound infrastructure, we are able to provide patrons with superior quality Copper Punjabi Handi. 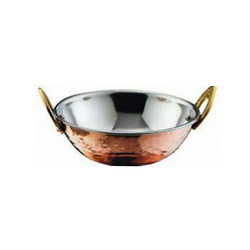 Owing to the expertise of our team of experienced professionals, we are able to manufacture and supply an exclusive range of Copper Sauce Pan. 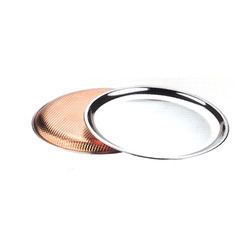 Backed with rich experience and knowledge in this sector, we are considered to be one of the most professional manufacturers and exporters of Copper Small Katori. Our company has acquired recognition in offering a wide assortment of Lemon sets. This unique design have stainless steel outer and copper inside with embossing on it. 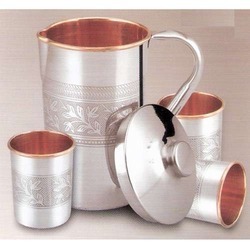 These sets can be used for serving lemon juices, squashes, cold drinks and other such products. 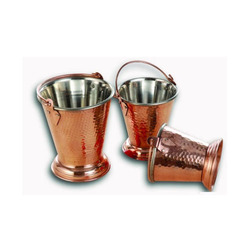 Owing to the expertise of our team of experienced professionals, we are able to manufacture and supply an exclusive range of Copper Steel Handi. 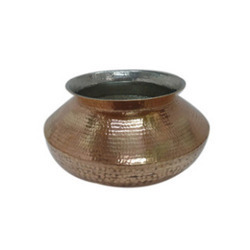 Backed by sound infrastructure, we are able to provide patrons with superior quality Copper Steel Oval Curry Dish. 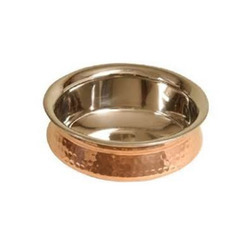 To serve dry snacks in an Indian restaurant, nothing is as perfect as copper steel tawa. 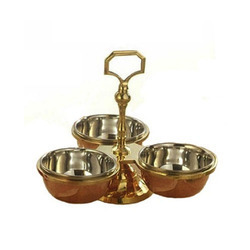 These are ideally used to serve snacks like paneer tikka, chicken tikka, tandoor chicken, seekh kebabs, tandoori fish & lot many other mouth-watering snacks. We produce copper glass which is safe to use and easy to clean and comfortable to hold.These are non magnetic and sturdy. These are made up of stainless steel from inside and copper outside with hammered and shiny finish. 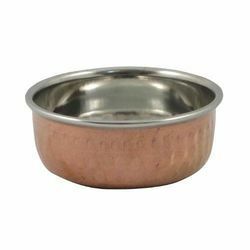 Owing to the expertise of our team of experienced professionals, we are able to manufacture and supply an exclusive range of Copper Thali. 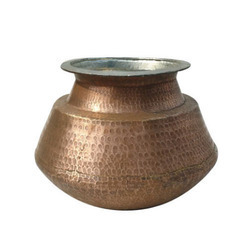 Backed with rich experience and knowledge in this sector, we are considered to be one of the most professional manufacturers and exporters of Table Tandoor With Wooden Base. 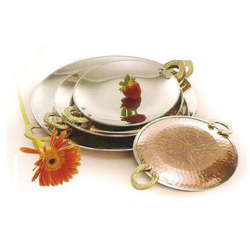 Owing to the expertise of our team of experienced professionals, we are able to manufacture and supply an exclusive range of Copper Steel Thali Set. Backed with rich experience and knowledge in this sector, we are considered to be one of the most professional manufacturers and exporters of er Steel Cover Handi. 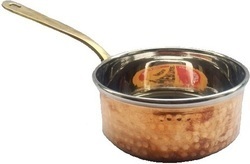 Owing to the expertise of our team of experienced professionals, we are able to manufacture and supply an exclusive range of Copper Steel Karahi. 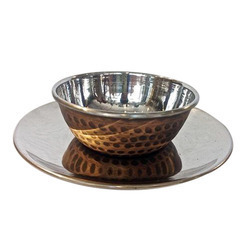 Offering Copper / Steel Pickle Dish with Brass stand. These are available in 2 ,3 & 4 compartment sets. These are durable and easy to clean. 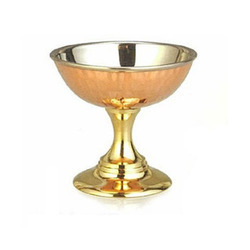 Backed with rich experience and knowledge in this sector, we are considered to be one of the most professional manufacturers and exporters of Straight Copper Glass. Backed with rich experience and knowledge in this sector, we are considered to be one of the most professional manufacturers and exporters of Table Accessories. 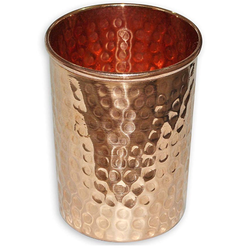 This Ice Cream Cup is manufactured in Copper / Steel material with hammered design and have a brass base. All our products are quality assured.